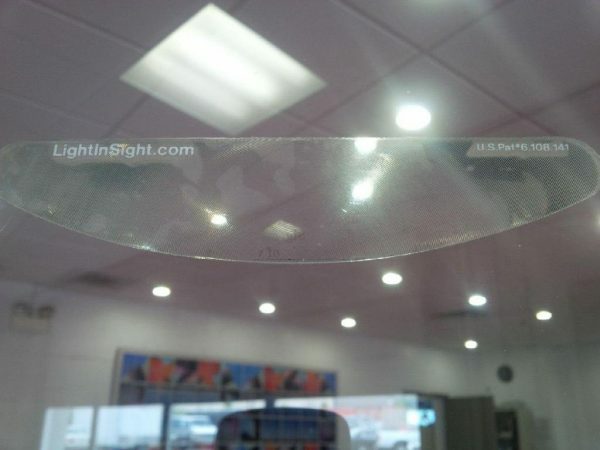 Wide-angle fresnel lens, optical-grade plastic, self-adhesive, removable, transferable between cars patented design Free shipping in the US! $10 Shipping outside of the US. We offer wholesale pricing on bulk orders to resellers. Call our office at 800.884.9503 or email us at justblaumitweiss (at) gmail (dot) com for details. For security purposes, purchases cannot be made from a mobile device. 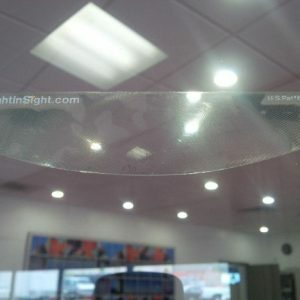 LightInSight is a unique product that solves a problem many drivers have face, without any costly equipment or installation. 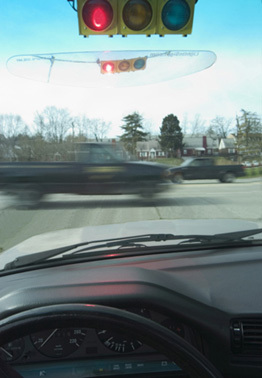 LightInSight is a clear windshield mounted fresnel lens for assisting drivers in seeing traffic lights that would not be in the driver’s normal field of view.